How to: Liquid eyeliner – all you need to know! I always get asked how I line my eyes with a liquid eyeliner and get a smooth flowy line so here is a short blog explaining all about that and the liquid liners I use. 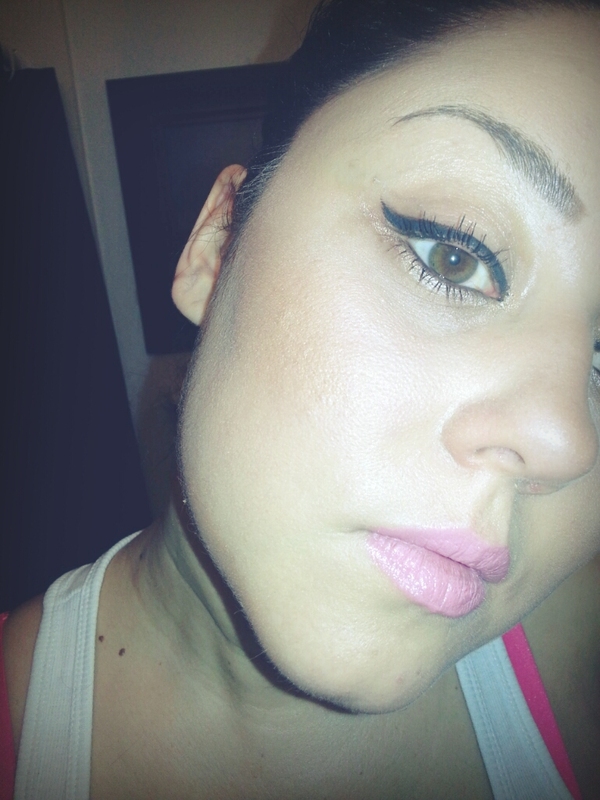 This is my go to look and besides lip gloss, liquid liner is my ESSENTIAL make up item. 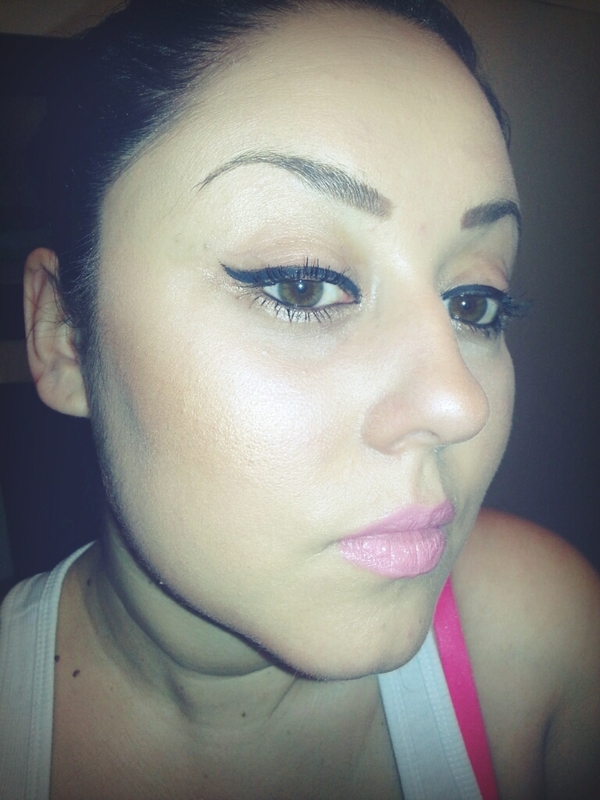 Liquid liners are a MUST! 1. The most important thing is choosing a good liquid eyeliner, yes the product itself but most importantly I mean, a GREAT APPLICATOR. For me personally, that means, short stick so I can hold it comfortably and control it easily. I hate long brushes, applicator sticks, etc, because I don’t have a solid grip and then my line comes out all kind of squiggly. 2. I never apply the liquid eyeliner straight . I outline my eye with a pencil (creamy pencil) and this line does not have to be perfect. Actually I do it anyhow, anyway, but as close to my eyelash as possible. 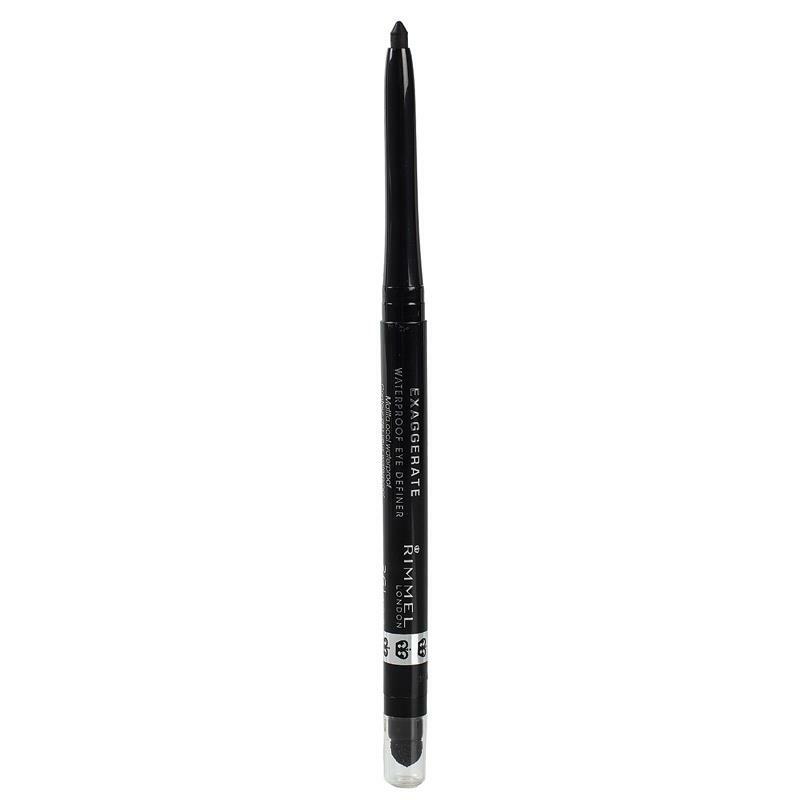 This simply serves as a guide for the liquid liner. 4. 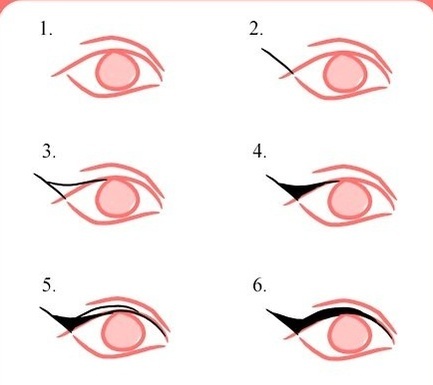 When I have my line drawn outwards, then wherever that tip ends I take it back in one smooth motion all the way to the inner corner of my eyelash line. 5. I go over it now, from inner to outer, to make the liner a bit thicker if I need to and more solid. 6. While I am doing this, I hold and gently stretch out my face (btwn my cheek and eye temple) to tighten the skin there so the line can be smooth. 7. Practice makes perfect! Now I can do this in my sleep. Here is a little diagram. The liquid eyeliner I use is Rimmel Exaggerate. The applicator is perfect. Pointy tip, short stick, easy to grip and apply. 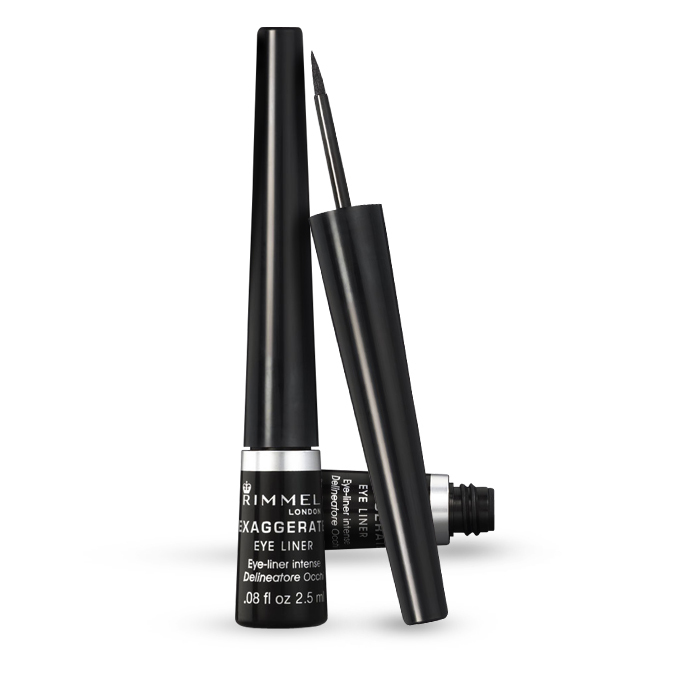 The pencil I use for my lower/inner eye rim, and what I use as my grid on the upper eyelid, is also by Rimmel. It’s creamy, almost like a crayon, it just glides on. It’s very pigmented and long lasting. 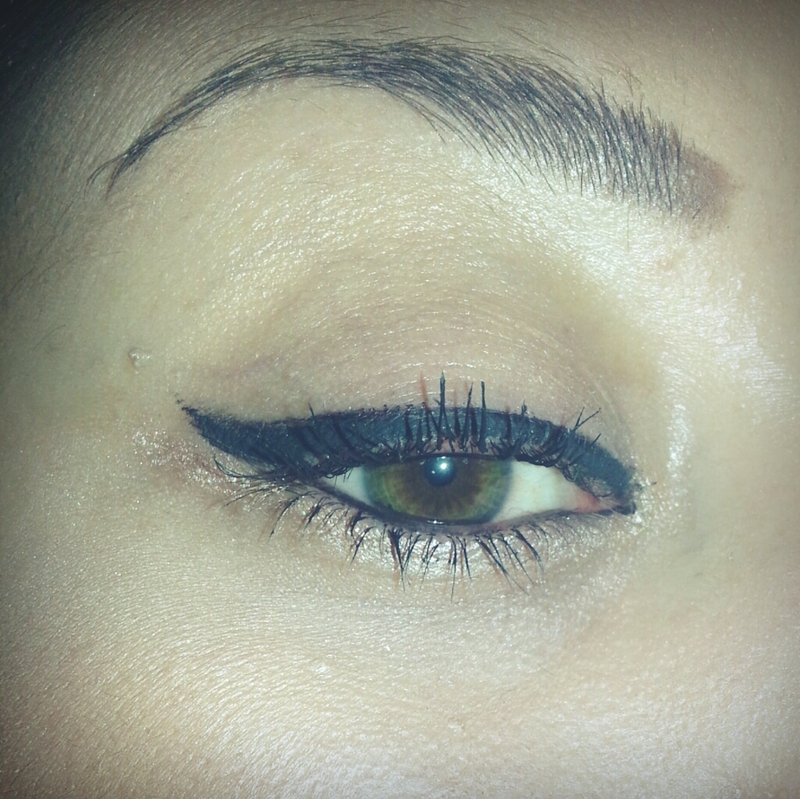 I’m obsessed with liquid liner. Now I barely use anything else – although your lines are still a bit smoother than mine! You need a vlog for this. Reading this type of instruction is way complicated for me 🙂 And I want to learn this! Haha you know what ill do it for you. ♥ muah!